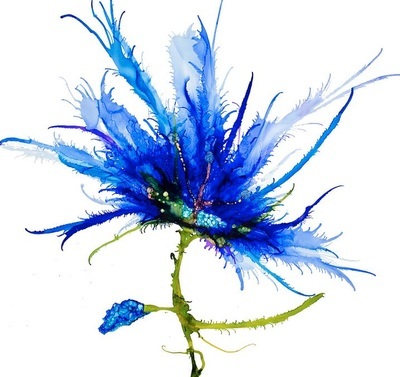 Encaustic artists like Asheville painter Julia Fosson use beeswax, damar resin and pigment instead of oils or watercolors to create abstract flower paintings and abstract landscape paintings that seem to float off the surface. 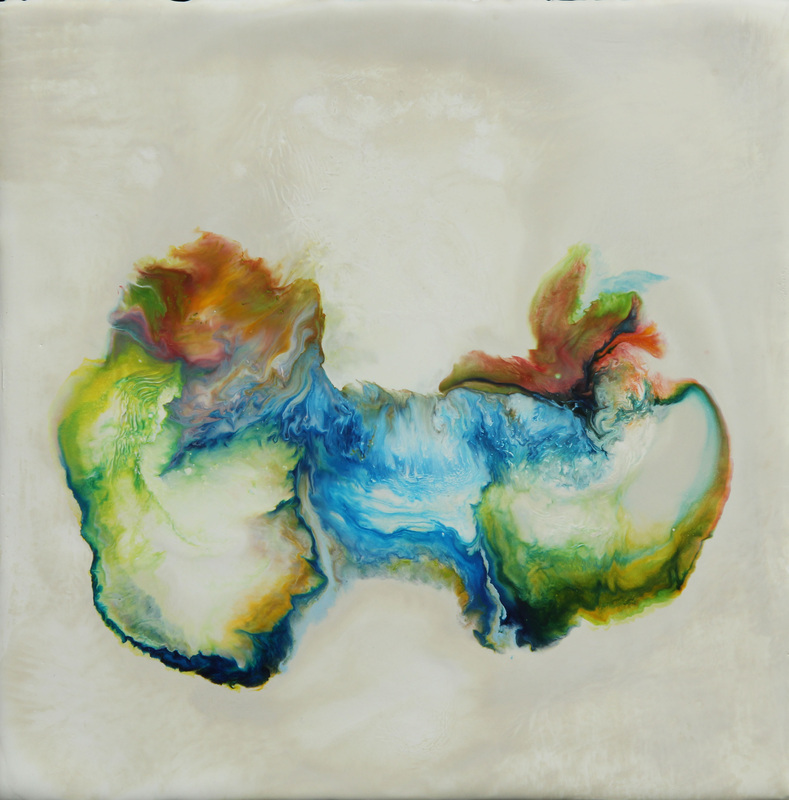 Encaustic paintings, unlike other works of art, don’t need to be framed. Unframed, they bring their brilliant immediacy closer to the appreciative eye. It’s an ancient technique resurrected for modern purposes. Encaustic art has been around since the ancient Greek civilization. Improvements to the pigment colors and the clarity of the resin — coupled with the ease with which modern encaustic artists can melt the wax and mix the colors — have led to a rebirth of the art form. Encaustic is a fun word, and it makes you curious. If you don’t know what it is, you absolutely must find out or it will weigh on your mind. 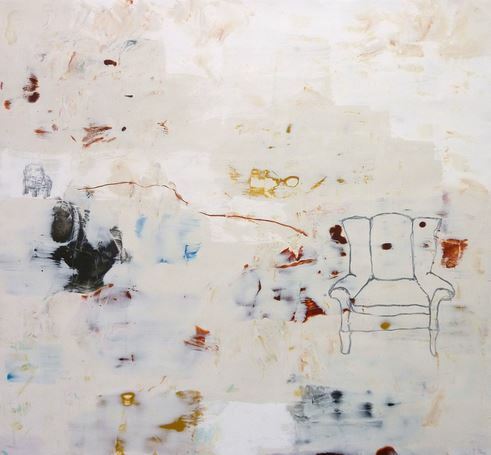 That drive for meaning is the very reason Julia Fosson became an encaustic painter. 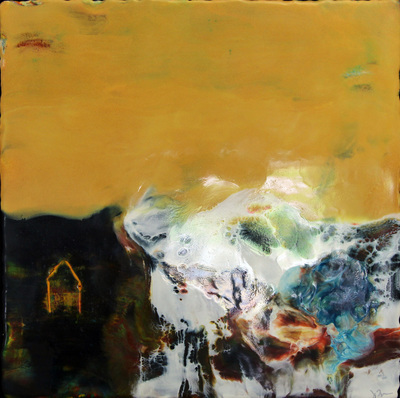 Even though she started painting (in oils) in the 1980s, Julia has been experimenting with encaustic painting techniques since 2003, when a fellow artist mentioned her oil paintings looked like encaustic works. When she started researching encaustic art, she discovered a medium more than two millennium old. But modern painters like Jasper Johns and Diego Rivera used it in their work. She was intrigued. The more she learned about it, the more she realized that she had to try it for herself. 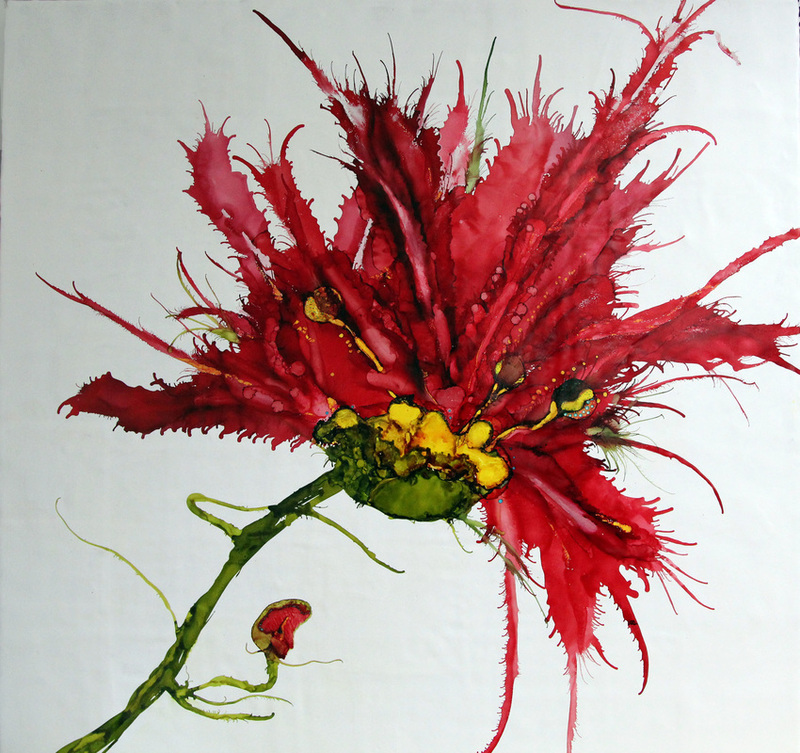 Watch this short Artist Portrait to learn more about Julia Fosson's Encaustic process. 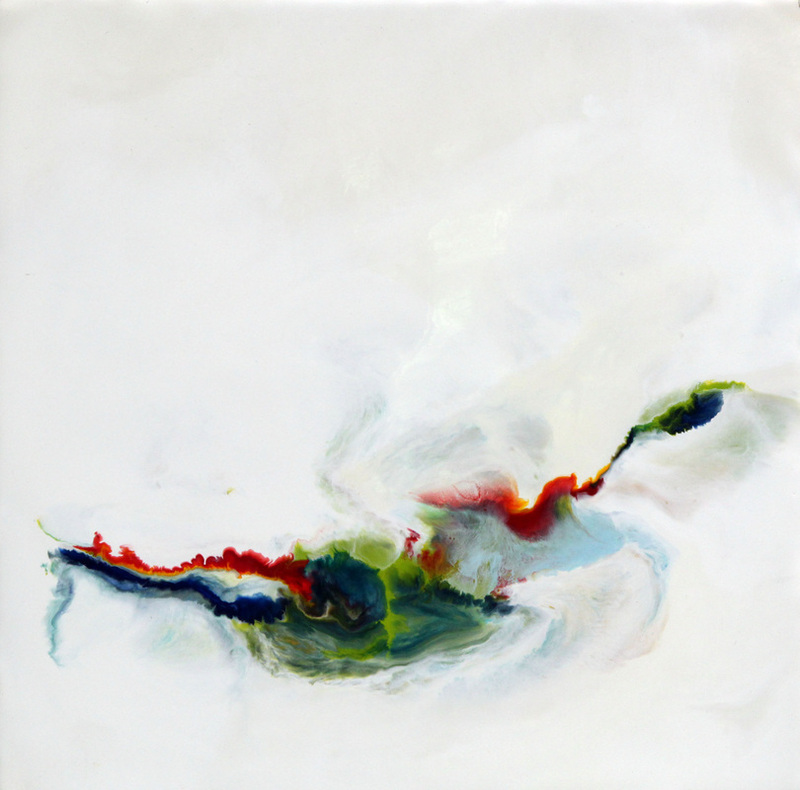 Originally an oil painter, Julia Fosson fell in love with Encaustic art when she was introduced to it in 2003. Julia describes Encaustic art as the "beauty of the wax." She loves creating multiple layers, often hidden, within the background of a work. Julia loves painting every day. She loves creating art and expressing herself with her pieces. She loves telling the story visually with her work. 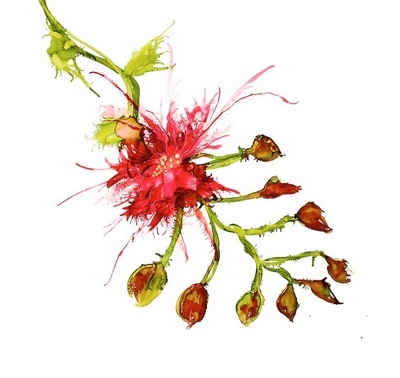 While she began painting in Connecticut, Julia Fosson has exhibited work in solo and group shows in Connecticut, Chicago and North Carolina since 2000. She’s even received two Individual Artist Grants to propel her early career. But now in Asheville, NC, she works exclusively in the encaustic art medium. She’s perfected her process to her own ends. Julia’s encaustic paintings are often about expressing an emotion, having a visual conversation or sharing a story. 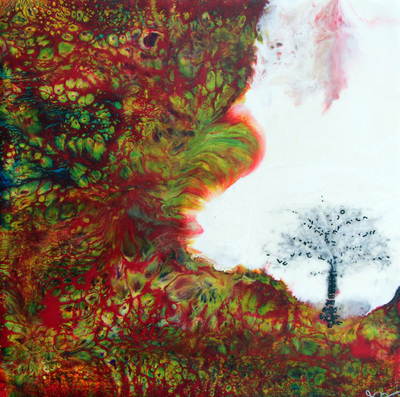 Encaustic painting lets Julia communicate through a visual medium. Her best pieces tell a story in the shapes and mix of colors. 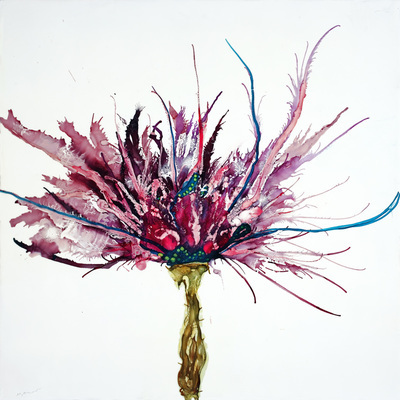 Explore her encaustic art up close, and you might notice embedded words or newspaper clippings. These intimate details allow her the freedom to express her creativity, while letting you interpret your own story in the painting. Each abstract mountain art piece tells a story. 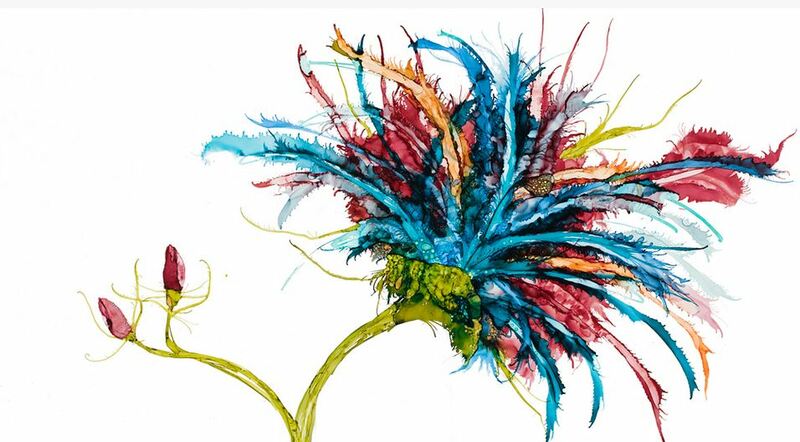 Each abstract flower painting holds a hidden meaning. 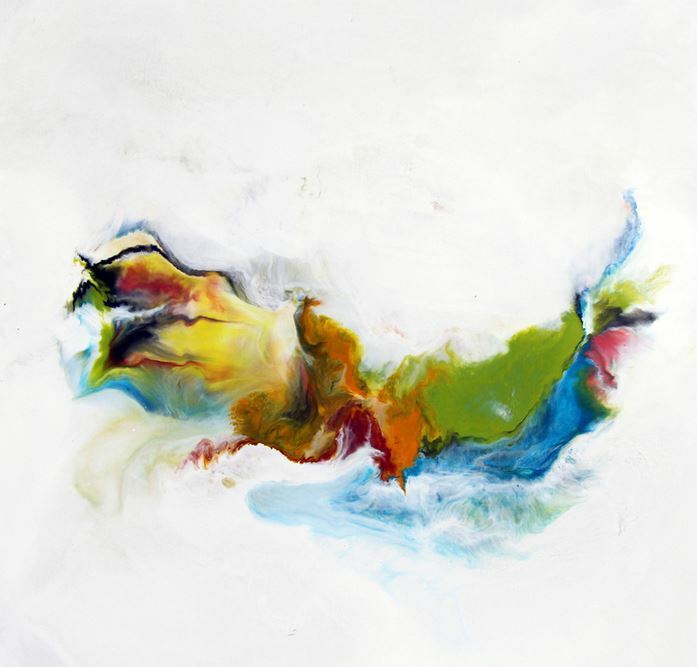 All her abstract paintings, in fact, evoke an emotion and inspire the imagination. You should spend time exploring the colors, the layers and the shapes for meaning, and whatever you find will be relevant to you. If it speaks to you, you’ve found an evocative piece of art. While she has given up her Asheville studio in the River Arts District to continue her work out of her home studio, but continues a presence in Matt Tommey Sculptural Art Baskets in Riverview Station and continues to exhibit at Woolworth Walk www.woolworthwalk.com. But if you visit Asheville, the River Arts District has become a must-see stop, with artist studios and much more.